​Pier 84 where the 5K event activities will take place. You can also RESERVE your parking spot online today! ​Visit www.ParkRight.Com for current rates and more information! 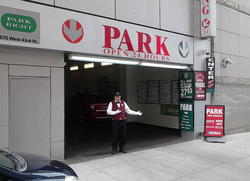 Park Right also uses ZIP CAR RENTALS at their locations. Cars by the hour or day are ready when you are. Click here for more details. *Liam's Lighthouse Foundation is not liable for any parking costs, damage or inaccuracy of the information pertaining to ParkRight and their policies.